Weather forecasts predict a harsh winter this year. Does it mean you have to crank up the heater and hide under a huge blanket thus giving up on all social life? Maybe not. 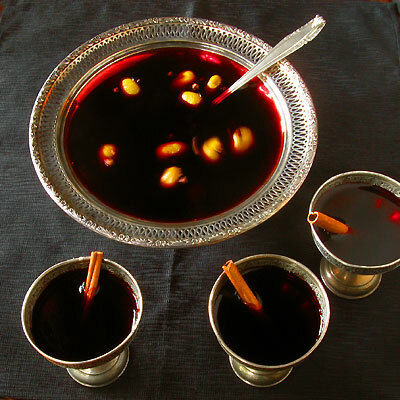 Fortunately, there are some old time beverages that have been warding off the dreadful winter chills for ages. Among those, here are our top 5 hot drinks guaranteed to steam up your cold nights. This legendary hot drink has warmed drink enthusiasts and weary travelers for the past 70 years. The traditional ingredients include real Irish cream, sweetened strong coffee, and whipped cream. For best results, go for the real deal, no substitutes. Try out this recipe! With the cartoon in mind, this hot drink sounds like a recipe for disaster. Originating from 1800s Wisconsin, this winter specialty combines spirits, egg batter, and hot water. To stay true to the original recipe, use rum and brandy for the alcoholic part. Also the warm milk can be a substitute for the hot water. Enjoy! Nowadays, fall is the season for cinnamon-spiced everything. This hot drink shows that the trend started long time ago. It mixes spices -usually nutmeg and cinnamon- with dark, spiced rum. Some recipes –like this one from the Food Network– include hot pineapple juice for a more exotic flavor. The icing on the cake is the addition of butter. This hot drink encapsulate the spirit of Christmas, and travel, and Dickens. In fact, old Scrooge, waking up from his life-changing dream, invited Bob for “a Christmas bowl of smoking bishop”. Charles Dickens describes it as having “the odours as of ripe vineyards, spice forests, and orange groves”. What a fantastic tribute to this mix of orange, cloves, and Ruby Port. What could keep you warmer than a good old hot chocolate drink? This variant combines creamy white chocolate with the refreshing flavor of Peppermint. Grownups can add peppermint Schnapps. Check out the recipe from Mel’s Kitchen Café. Let us what you think of our selection of hot drinks for cold winter nights. See a favorite or have one that you want to share? Express yourself in the comment box below.